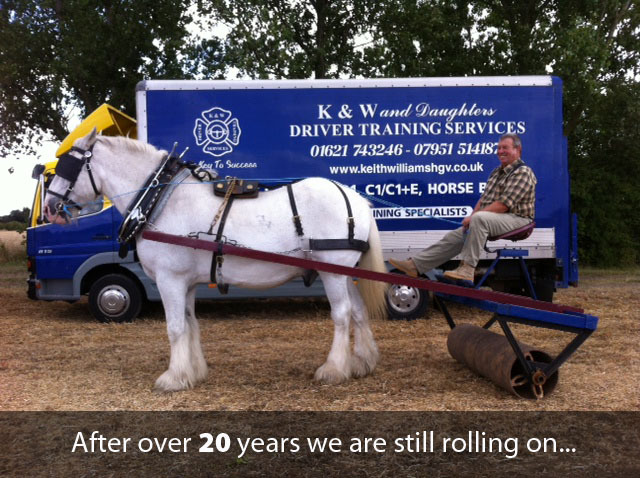 Just a little information to tell you a bit about us .We are a family run firm and have had over 20 years experience in the HGV /LGV and PCV driver training field. We have many testimonials to compliment us on the superb training they receive.We take great pride in our professional training methods and understand how nerve racking it can be. Our pass rate is way above average and we will train you to a very high standard and are especially good with the nervous trainee. Its a new experience for you folk and we always take that into account. You will hopefully be made to feel at ease and will be surprised at how quickly you can have hands on tuition in a very professional way. We hold diplomas from the BUS & COACH COUNCIL and are registered DSA trainers. We take your worries seriously and do our up most to help sort them out however big or small. Our hours are flexible for people who can't do daily training and can fit you in at weekends and evenings as and when required. This could be the start of a promising career in HGV / LGV or PCV driving or maybe get that larger horsebox you bought and can't drive on the road. Try us ,we won't let you down. We will give you the time you need, because we know how important your licence is. We are equally successful with men and ladies. Our vehicles are clean, tidy and well maintained. So, give us a try, you won't be disappointed. For more information, please contact us by clicking here. For medicals try our partners at Drivers Medicals and quote K & W.
We are a family run firm and have had over 20 years experience in the HGV /LGV and PCV driver training field. Our pass rate is way above average and we will train you to a very high standard and are especially good with the nervous trainee.